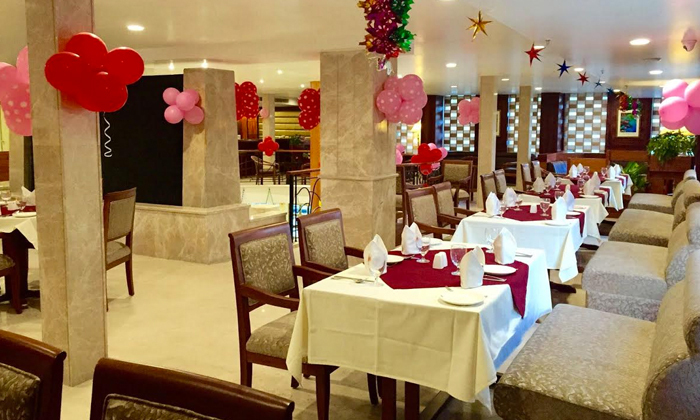 Ambassador is the in-house multi-cuisine restaurant in Hotel Sunbeam, located in Sector 22 in Chandigarh. Offering cuisines like North Indian, Chinese and Mughlai, Ambassador is the perfect place for that overdue family get together. With furniture in warm tones of beige and brown and soft golden lighting filling the room, the restaurant exudes the cozy and comfortable feeling. The seating is spaced closely, with sofas set against the walls and wooden chairs and tables placed in the middle of the restaurant. They entertain their guests with live performances in the evenings. So head to Ambassador for a night of great fun and food.